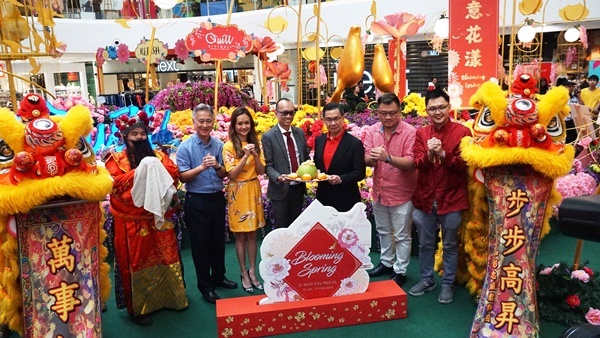 Walking in, it is truly a sight to behold as the mall has transformed its Main Atrium into a spring-blooming garden featuring colourful giant flowers and golden birds surrounding the decorations in a flying motion thus enhancing the atmosphere of Chinese New Year. 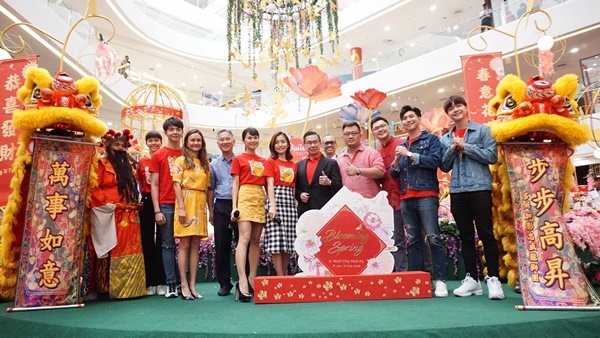 If you head there from now until 17 February 2019, you can anticipate the experience of spring in the mall this Chinese New Year. What interested me a lot was a new concept that the mall is initiating, which is “Scan & Huat!”. This incorporates QR code to the mall’s ang pow redemptions and contests. 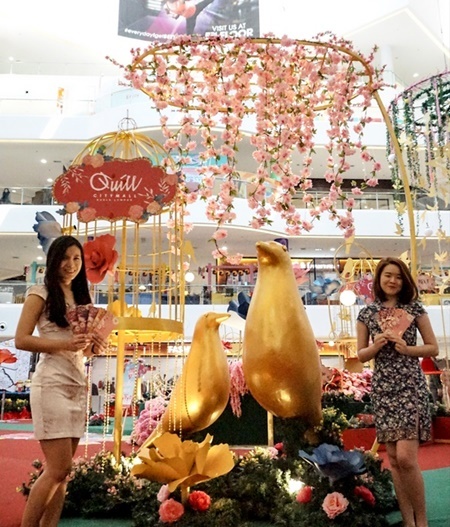 Shoppers are required to hunt for special QR codes at the Main Atrium, Ground Floor in Quill City Mall KL as prosperous rewards await shoppers. Shoppers can stand a chance to win GINTELL DeVano SL ROSEmantic Massage Sofa worth RM9,988, an exquisite Travis Hegel luggage bag, vouchers from Hamleys, NEXT, Quill Automobiles, The Manhattan FISH MARKET, The Chicken Rice Shop, DubuYo, Pancake House, Photobook Malaysia, BOFT, Mr. 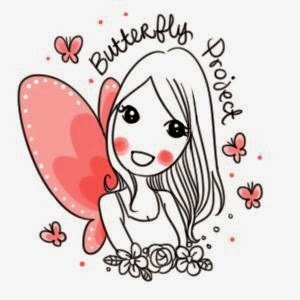 D.I.Y., Juice Works, Glow & Glamour and many more. 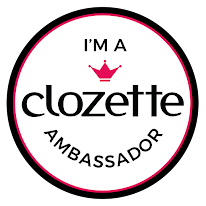 Of course, with all contests, terms & conditions apply, so please read the fine print. If you're a Pakho Chau fan, be sure to be at the mall on 26 January 2019 at 7:00pm to meet him! He will be here in conjunction with the PAKHO One Step Closer Live In Malaysia concert which is due to be held the following month on 23 February 2019 at Arena of Stars, Genting Highlands. Come early as you will be able to meet him, get his autograph, and play games with him. In addition, a ticketing counter will be set up at 12pm for fans to purchase tickets and redeem the poster on a first-come, first-served basis. Interesting programs are lined up in the mall this Chinese New Year such as CNY Album Promo Tour, God of Prosperity Walkabout, Lion Dance performance, Floral Watercolour Painting Workshop by Ykee.lee, CNY Pop Up Card Workshop by Loka Made, Blooming Spring Colouring Workshop, Cloth Fan Floral Painting Workshops and stage games. 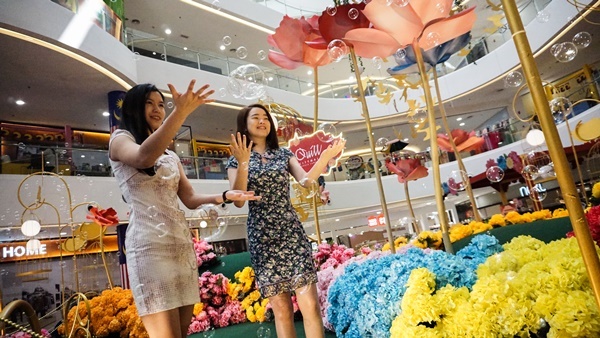 Also, don’t miss the chance to enjoy the Blooming Spring Bubbles Time at Main Atrium, Ground Floor every weekend at 12:00pm and 7:00pm respectively.